Leeds based DeMarzo makes his Kittball debut with a three-tracker entitled ‘I Like It’ set to drop this month. With releases on the likes of Hot Creations, Sincopat, Noir and Materialism, Marcus Wormald a.k.a. DeMarzo has likely earned his stripes. Now, with his arrival on Tube & Berger and Juliet Sikora’s Kittball imprint, the British producer can add another label to his name. Making music since 8-years old, DeMarzo has been a multi-instrumentalist for the best part of his life, which has played a part in making his productions eclectic and inimitable and a fit for Kittball’s heterogeneous discography. ‘I Like It’ exhibits warped synths, poppy vocals and subtle organ stabs that collectively reflect DeMarzo’s deep-rooted musicianship. Next, ‘Another Day’ draws inspiration from early synth pop whilst incorporating a groovy bassline, intricate melodies and infectious vocals. 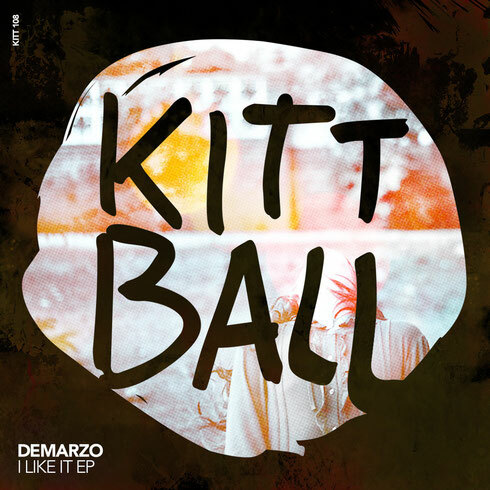 DeMarzo’s ‘I Like It’ EP drops on Kittball Records on 12 January.